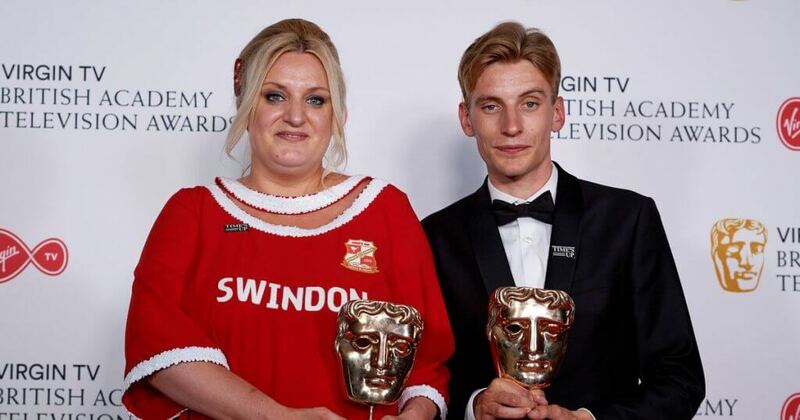 This Country has scooped two awards at this year’s Baftas: for Best Scripted Comedy and Best Female Comedy Performer for its star and co-creator Daisy May Cooper. The BBC Three comedy triumphed over fellow nominees Catastrophe, Chewing Gum and Timewasters to win the scripted award. The show gained a massive following after series 1 but it was series 2 that really propelled the show in to the main stream. All of us at Syncbox want to say a huge congratulations to everyone involved, especially Daisy May-Cooper, Charlie Cooper, Simon Mayhew-Archer and Tom George. Just like the first series it was an amazing show to work on and we’re chuffed to bits to be able to share some of the lime light of the BAFTA award. Working very closely with all the cast and crew has made this series a pleasure to work on. Is this really our job? We’re lucky to do what we do. Watch out for Series 3 and a one of special later on in the year.